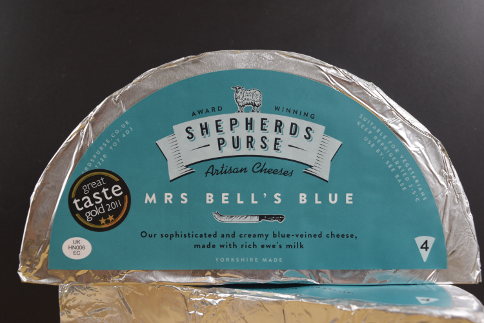 Wellocks is now stocking the award-winning Mrs Bell’s Blue from Shepherds Purse, available to order online now. Produced using fresh British sheep’s milk, this is a creamy and rich blue cheese with contrasting sweet and salty flavours – milder than a Roquefort but still complex enough to pack a punch. 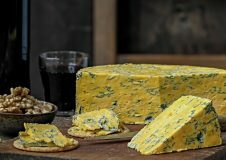 Mrs Bell’s Blue has received two gold stars at Great Taste Awards, silver in the Global Cheese Awards and gold at Nantwich International Cheese Awards. 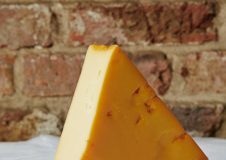 Shepherds Purse has been creating traditional handmade Yorkshire cheese since 1987 at its family-run farm off the beaten track in Newham, Thirsk.